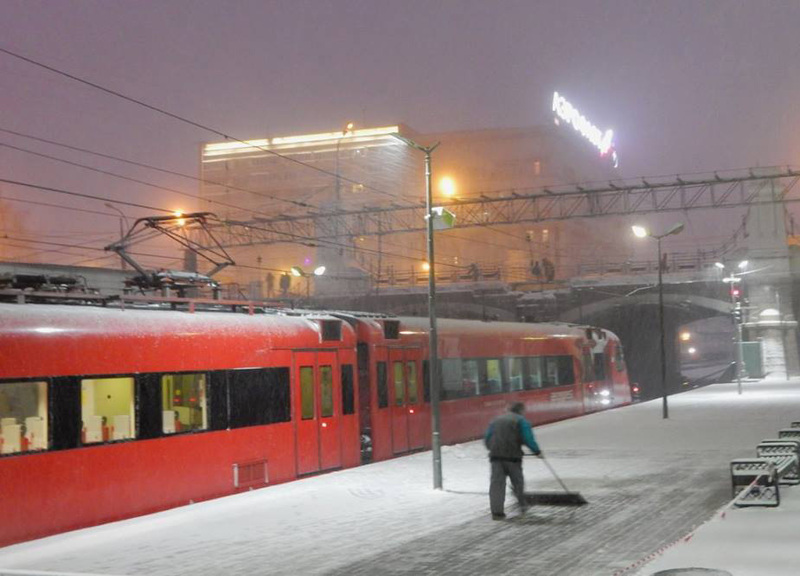 I’ve travelled from Moscow Airport to City Centre by train twice now, only to return again just an hour or two later. 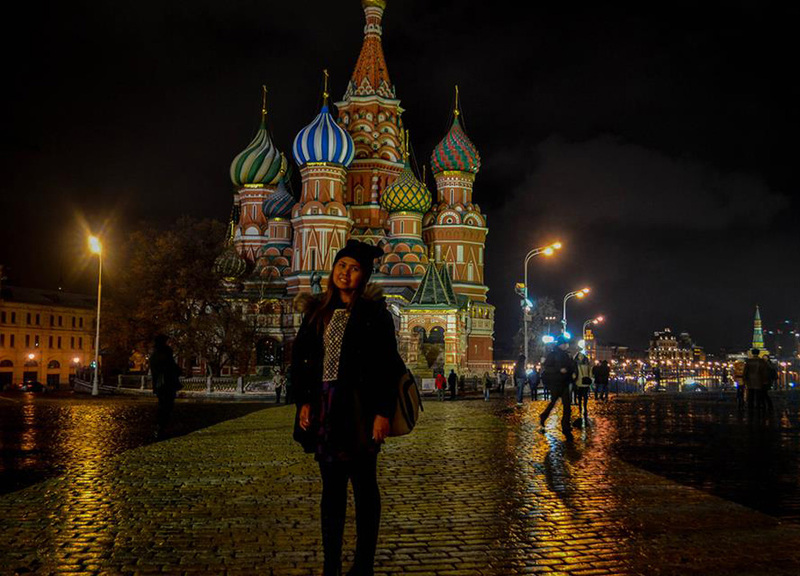 Both times have been during stopovers at Moscow airport, travelling between Europe and Asia, where I had just enough time to squeeze in the city centre attractions and Red Square before my next flight. It was relatively easy both times. 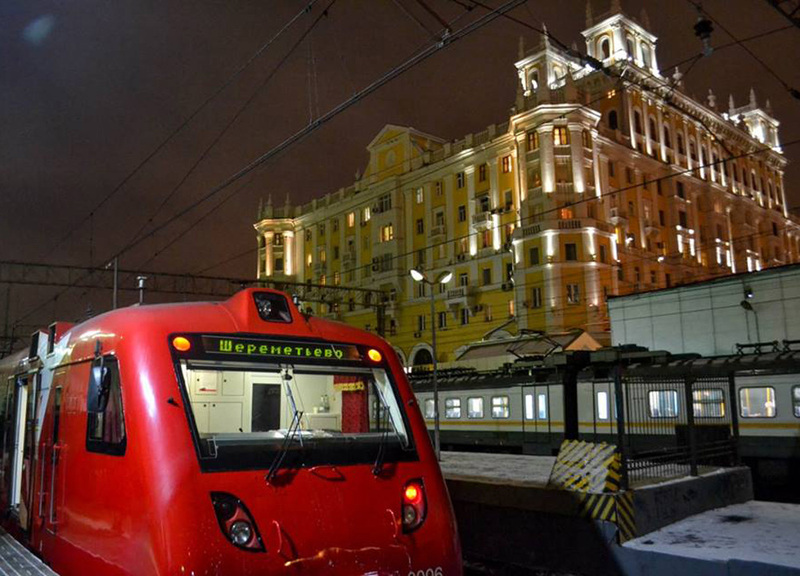 From Sheremetyevo Airport there are regular high-speed trains (every 20–30 minutes), on the Aeroexpress, which brings me to the main Belorussky Railway station (full timetable and prices here) which is in Moscow city centre. 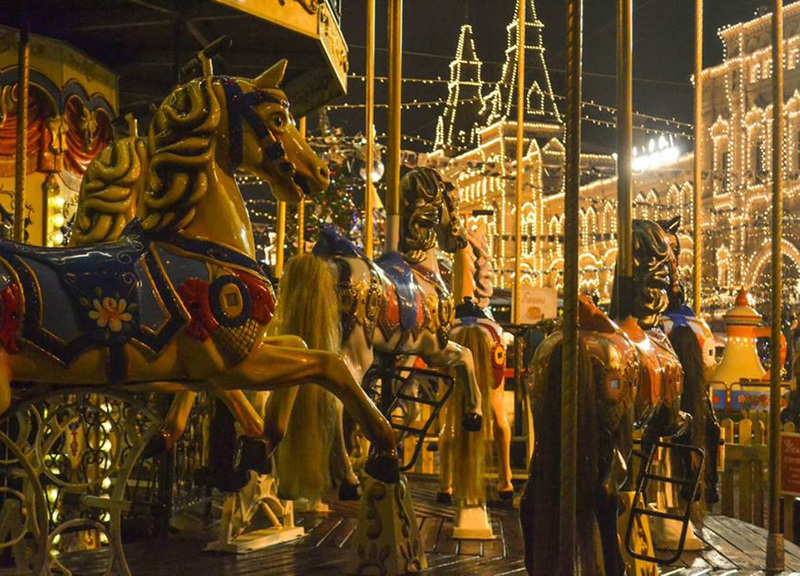 It takes around 30–40 minutes from Moscow Airport to City Centre before I transfer to the Moscow Metro lines. English isn’t commonly used here (it’s all Russian) but it’s still east to find the Metro by following the (M) signs and the ticketing machines have an option for English. 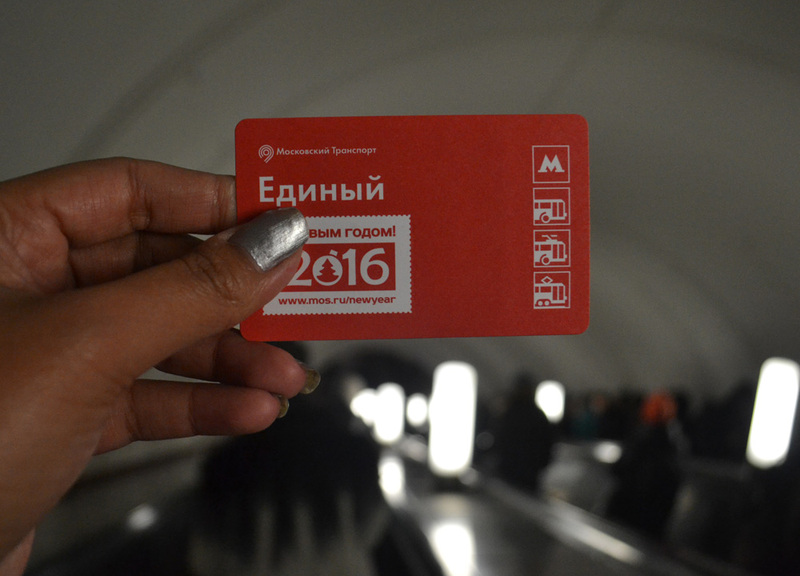 The Metro station is called Belorussky station, just like the train station, and from here I take the Green Line (2) and travel to Teatralnaya station where it is a short walk to Red Square and the central tourist areas. There are alternative stations for the area but, for me, this was the quickest option, with no need for further transfers. Another alternative would be a transfer for the Blue Line (3) and travelling to Ploshchad Revolyutsii station which is found next to Revolution Square. I actually travelled from Moscow Airport to City Centre alone while Allan was left behind at the airport with a full passport (no space for a transit VISA). It normally costs British passports 80 quid as well for the privilege of a short transit VISA so I’m not really sure if it’s worth. But with a Thai passport I get free VISA on arrival and passing immigration at the airport was relatively simple. So, arriving to Teatralnaya station, there are a lot of exits and I was forced to ask for help here. Fortunately people are helpful so this is not a problem. 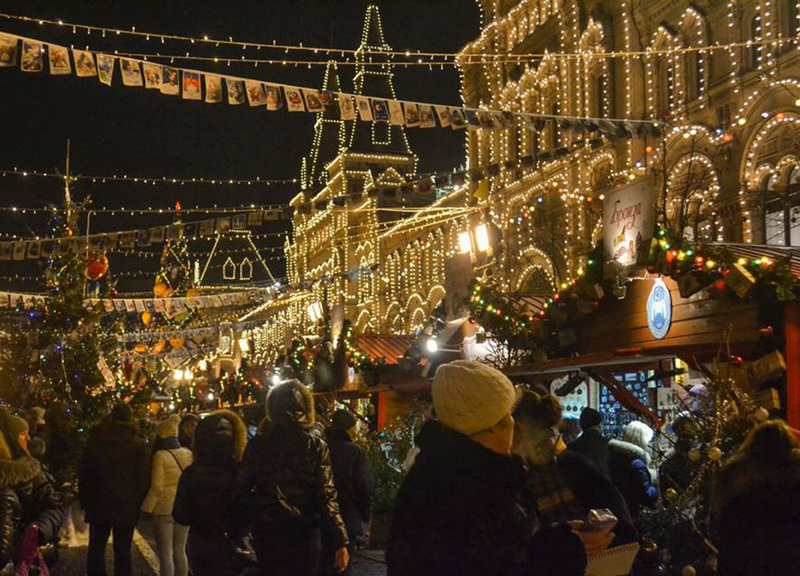 During both times I also travel in winter (December and February) when Moscow’s city centre and Red Square area are covered in snow and, on the December journey, Christmas lights and markets are dotted through the central areas. 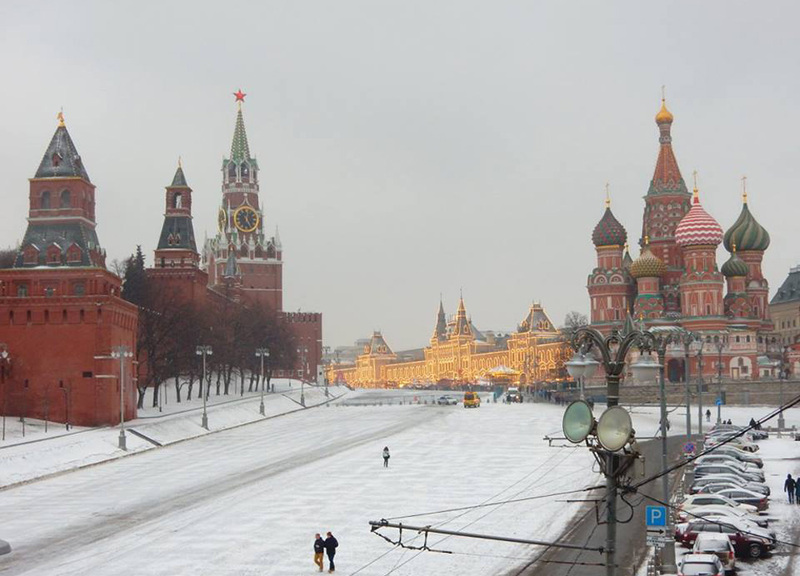 I feel Moscow is at its best during this time. With a little extra time to spare I also book a hotel next to the airport and get a few hours sleep before continuing for the onward journey (airport hotels here). 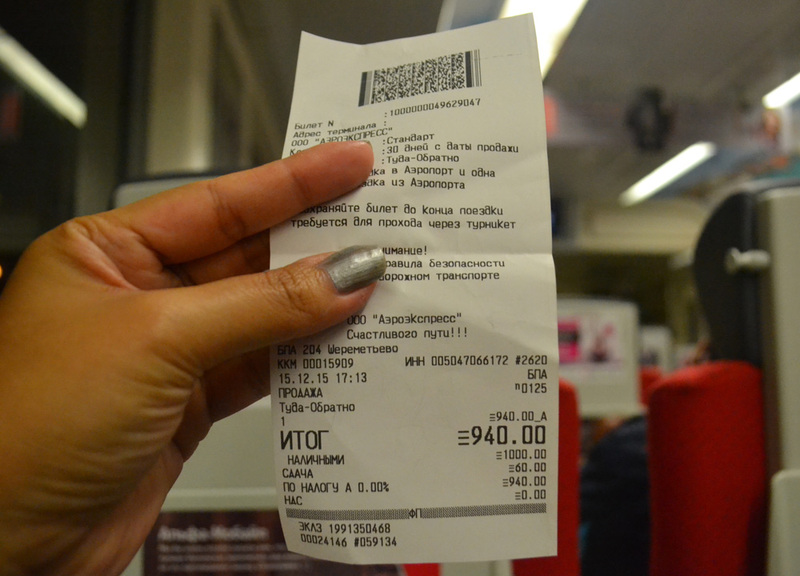 At the airport I had taken out 5000 Rubles on arrival and spent around half of it. It was a cheap enough journey and was well worth it.